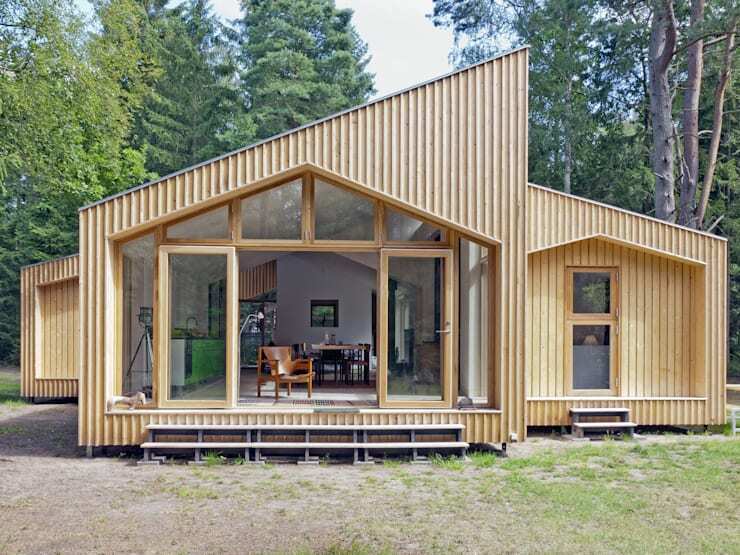 10 Small but Eye-Catching Houses! If you like to live in detached homes with gardens where you can escape from the doom and gloom and the bustle of the city as well as the world of high-rise buildings, then this article is for you. 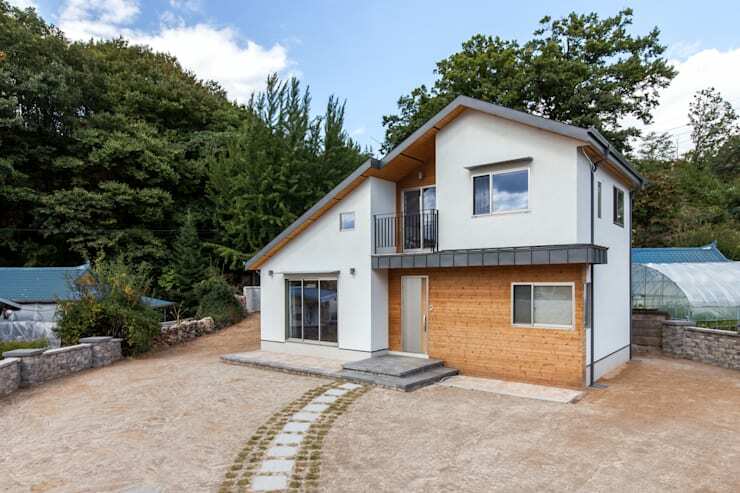 We at homify have compiled a list of 10 beautiful, modern and detached homes just for you! They can help you to figure out which home is your dream, thanks to examples from around the world. 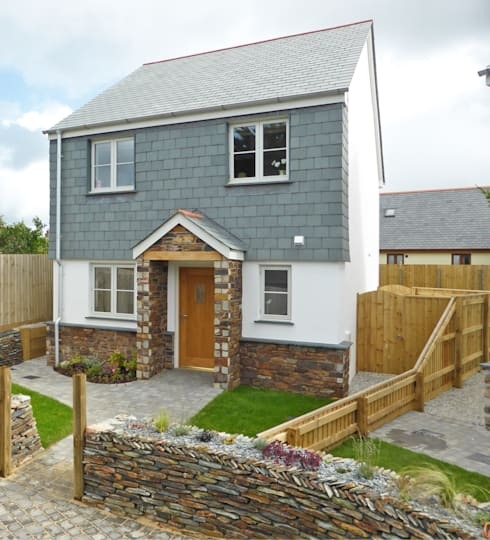 We will looked at two-storey homes, homes with different kinds of roofing, modern chalets and many other examples and features that characterise these beautiful models. In turn, we will discover all sorts of options when it comes to eye-catching homes! Let us go and explore together! From the construction to the design process, this home is eco-friendly and features many sustainable elements that make it the perfect green home. This type of model is seen as a small way to pay a debt back to nature, thanks to the use of natural materials. The building process of this home was also not harmful to the environment and materials such as concrete and rubble did not go to waste. 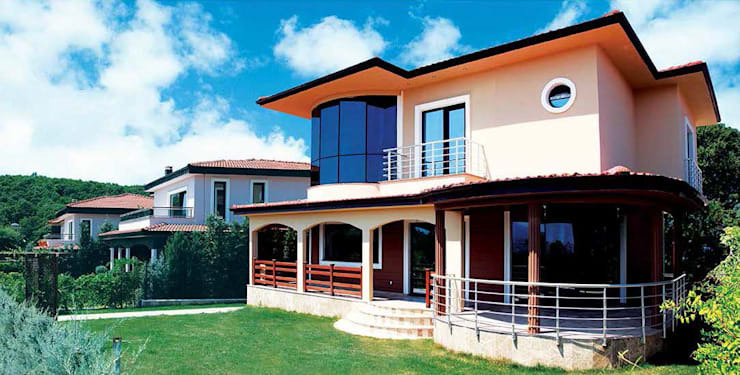 The result is a modern home full of innovative solutions for energy saving. Interested in living a more green lifestyle? Look at these: Smart ideas to lower your electricity bill. 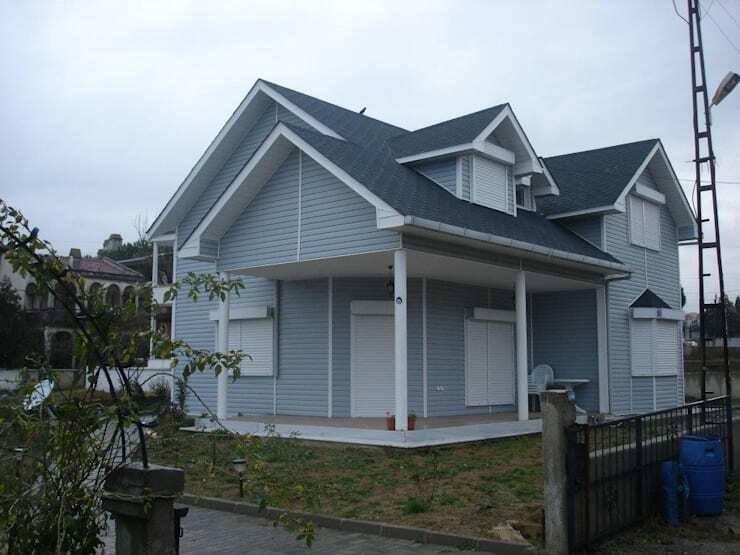 The exterior of this charming home, designed by Woodsun, is sure to attract all sorts of attention with its sloping roof and the different heights that have been created. The facade is also made up of a combination of different materials including white walls, wood and metal elements, which come together in harmony. We are certain that these reflect the interior design as well. Located in South Korea, this is a piece of architecture that anyone would be proud to call home thanks to its warmth and beauty. The Bazeley Partnership have designed this very fabulous and trendy home, which would be perceived as welcoming to just about any guest. Stone, concrete and wood have all been used in a very creative way, but it is the garden along the lining of the perimetre wall that really brings together this design. The doors and windows break up this look and feel, giving space and a breath of fresh air to the design. This home is very different and yet quite remarkable, with a large roof structure that shows just how heartwarming and spacious this home is. We love how the white exterior complements the grey tones as well as how emphasis has been placed on the modern architecture, creating a very big impression. The entrance to this home is very stylish and low-key, with subtle decor elements. This superb family home is a modern piece of architecture in every single way possible with its glass and metal elements, that transition into concrete structures. The two-storey building would be particularly suitable for large families as there is a garden that could be considered quite large for some families. Note the vivid colours and carefully planted trees and bushes. This creates a wonderful home inside and out! Looking for something a bit smaller for the family? 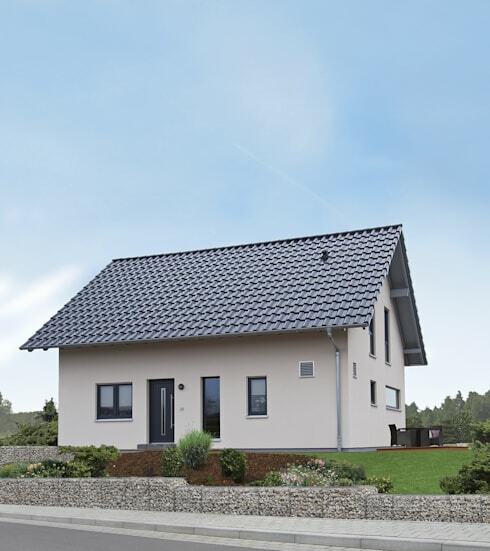 Have a look at this: Ideal family starter home. This two-storey building with its stylish patio and modern architecture consists of two different sections, which stand out beautifully. The concrete structure reinforces the impressive architecture, which makes use of wood and glass elements. This is a successful design that does not compromise on the natural look and feel, even though it is a modern style. If you have a patio, have a look at these homify patio products which could enhance the entire look and feel of your home. The classic-roofed home is the model that comes to everyone's mind when we think about a traditional home. This is an extremely simple design and comes in handy, thanks to the loft or attic upstairs. A roof can really change the look and feel of a home, like in this design. 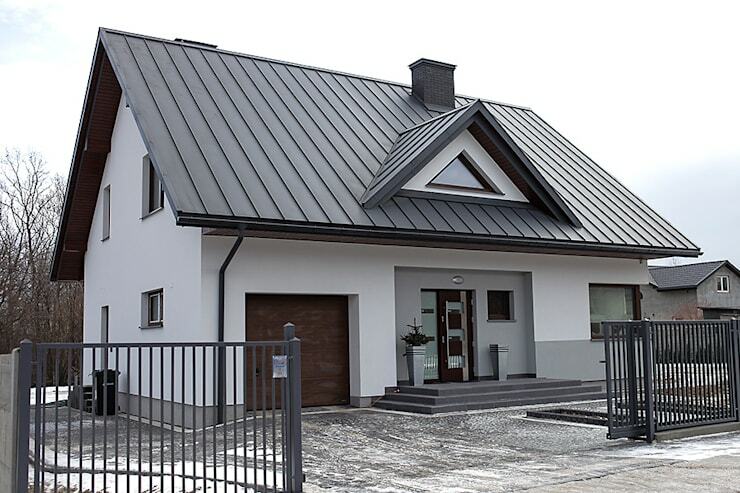 A simple two-storey detached home can be transformed into an ideal modern house thanks to the different features of the roof, which adds volume and style to the look and feel. Not only does it look great, but it is functional and robust! 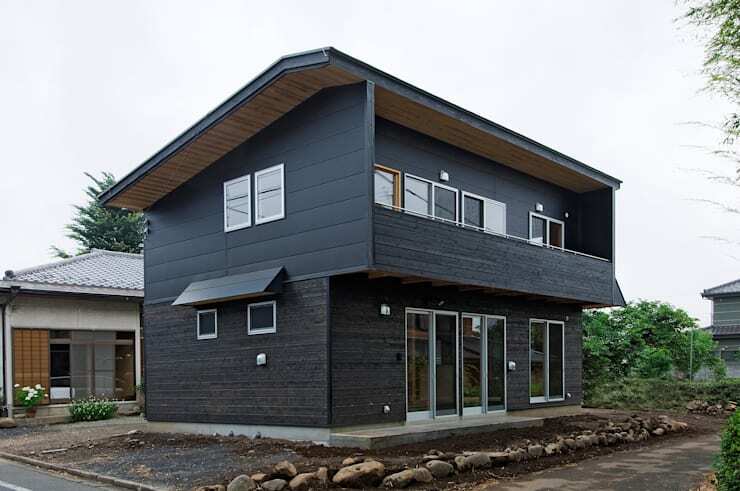 This unusual structure combines the properties of a single slope roof with a rustic, Japanese style of architecture. 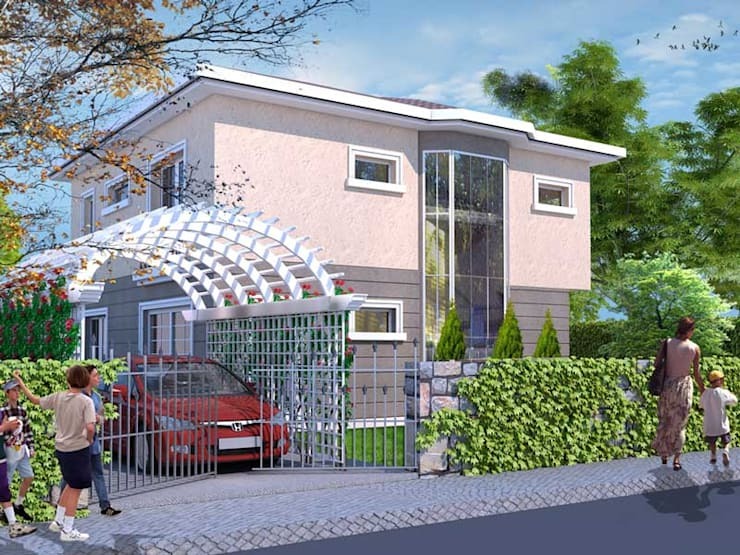 It is one of the simplest and yet most popular models when it comes to a two-storey structure. What's more is that this home features a lot of interior delights as well! From the outside, you can't wait to explore the inside! It's worth calling these woods home with this eye-catching modern piece of architecture, by Jorge Cases. Doesn't it remind you of your childhood dream house? This house will last through the ages, remaining stylish and popular throughout time. This is thanks to the lovely view, traditional design and of course, the beautiful trees. Which house is your favourite?